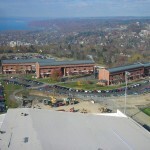 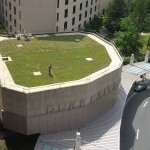 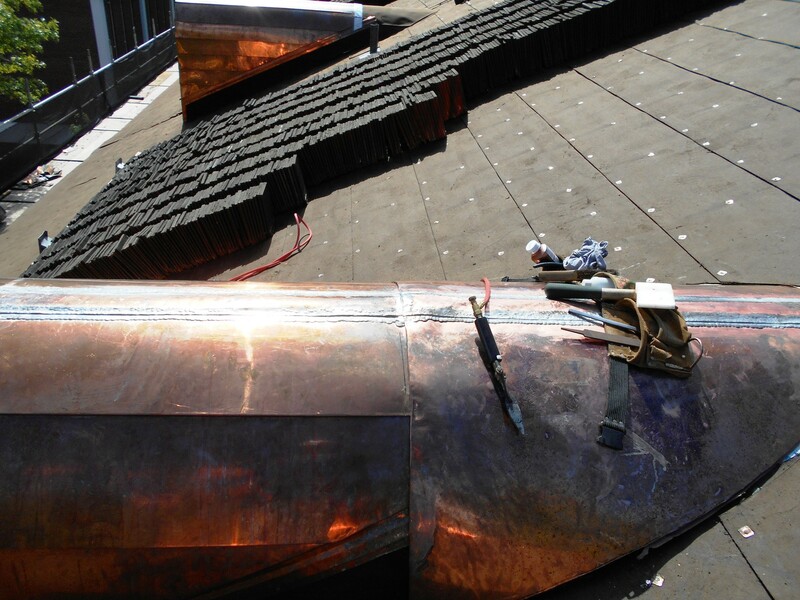 Ohio University - Seigfred Hall - Evans Roofing Company, Inc.Evans Roofing Company, Inc.
Project Info: This project consisted of installing architectural tile, copper and modified roofing over various sections of the nearly 22,000 sq.ft of roof area. 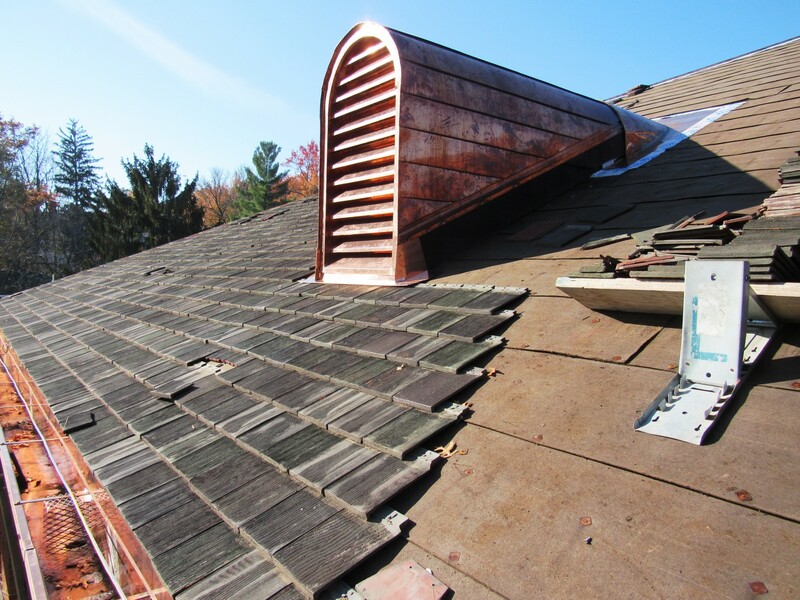 We removed and saved the existing tile for re-installation. 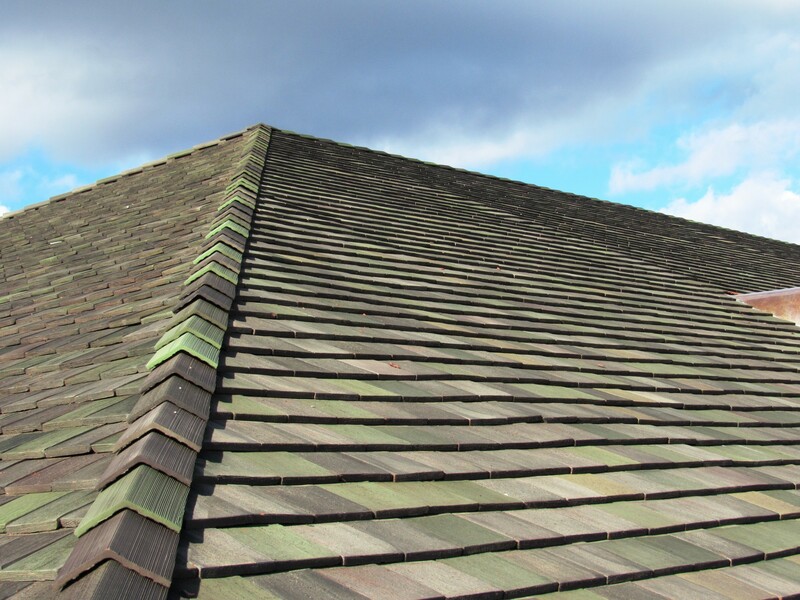 This always creates a unique challenge as the removal of the tile with exact precision and care is needed and to also store them on site, without damage is paramount. 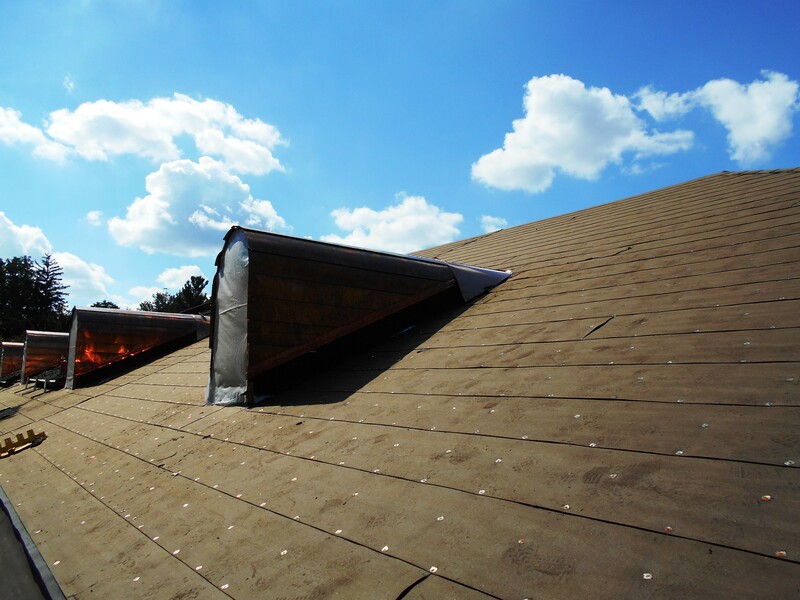 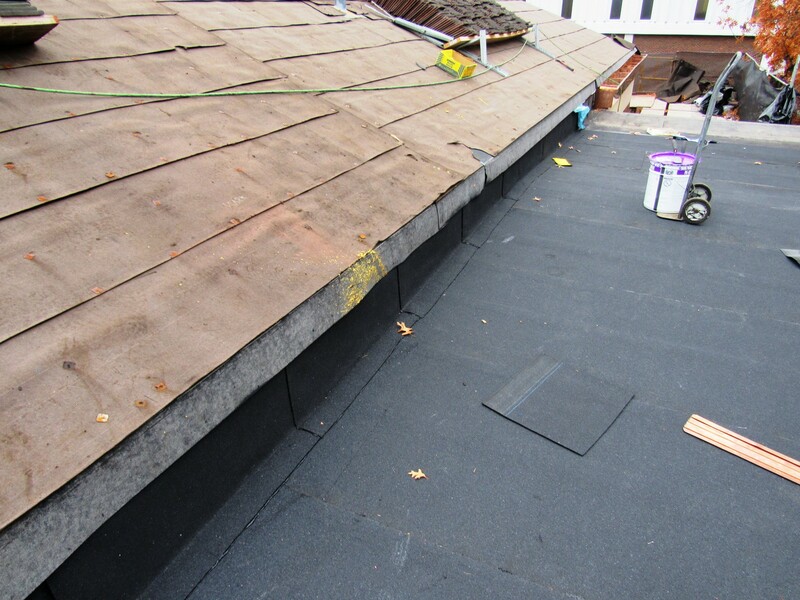 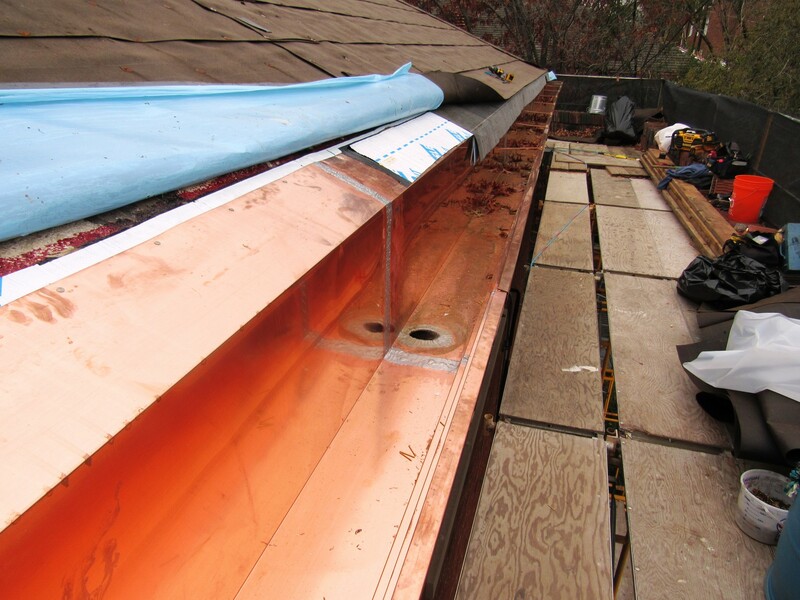 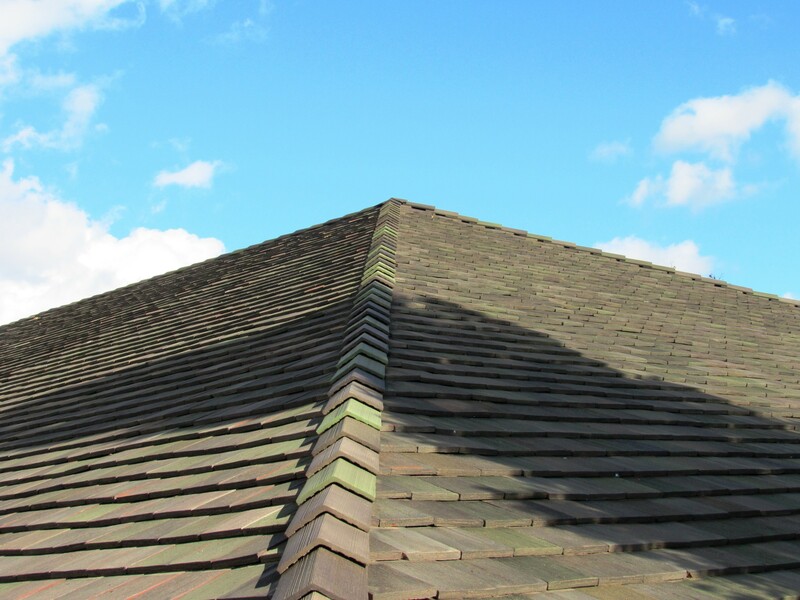 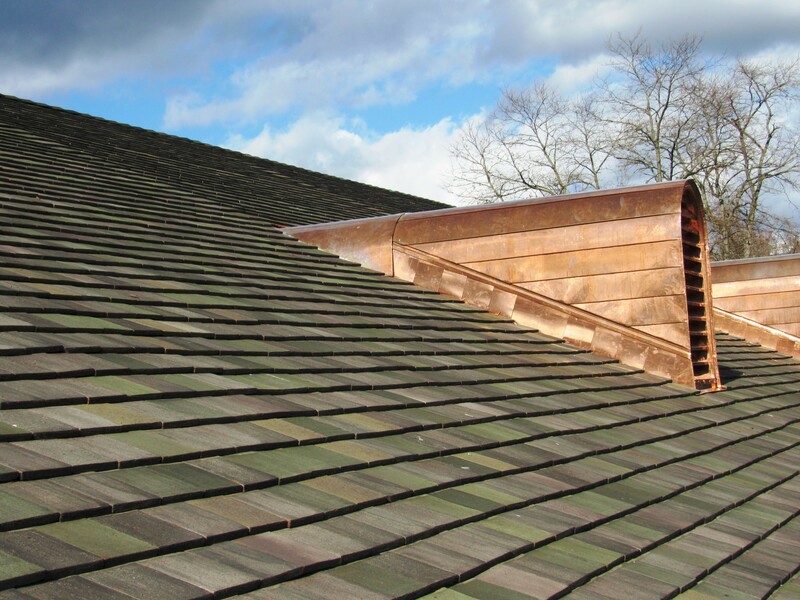 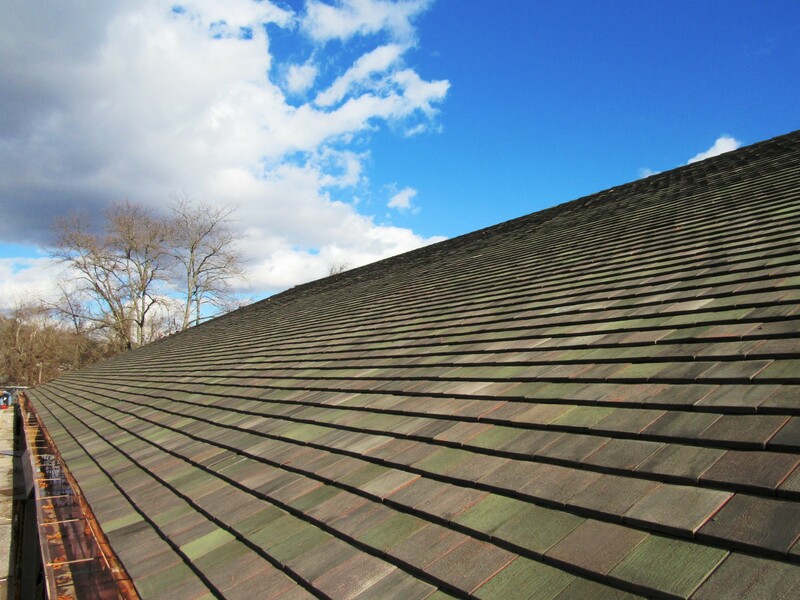 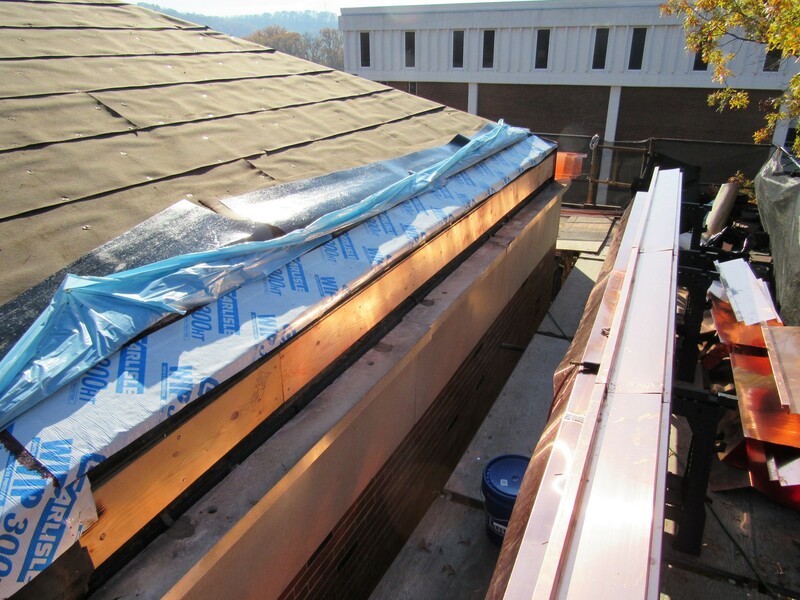 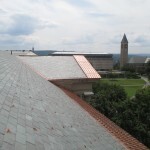 New flat seam copper was installed on the dormers and modified roofing replaced the ballasted EPDM roofing on flat areas.